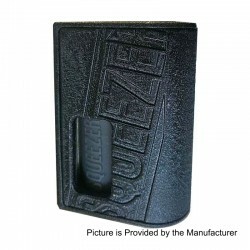 The Authentic Hugo Squeezer BF Squonk Mod is a handy squonker that comes with 8ml built-in bottle. It is convenient to use without refilling frequently. The mod is powered by a single 18650 battery (not included).